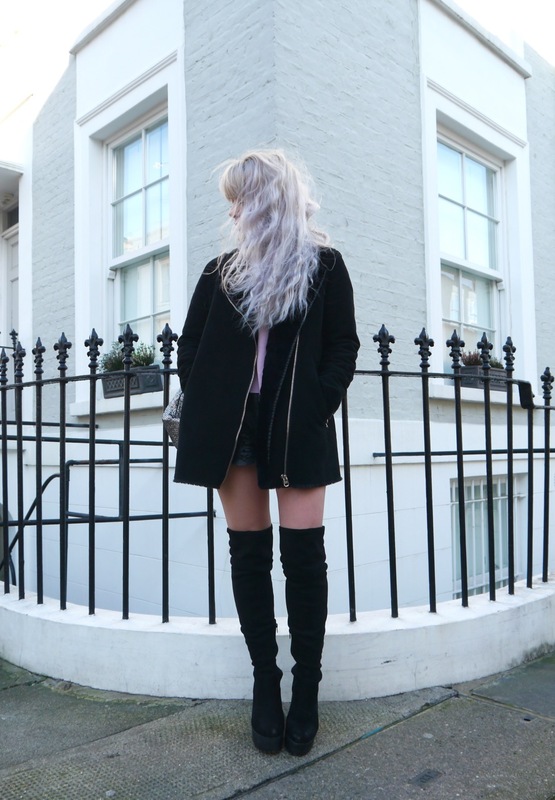 Yaaaay finally a new outfit post! Katie and I went to Notting Hill on Friday and shot four outfits so there's lots more content coming from now on. This is quite a simple outfit but it features some of my most worn items at the moment, and some absolute gems from Primark. My mum got me this coat for Christmas and it is the softest, cosiest jacket on the planet, perfect for the cold weather we're experiencing at the moment in the UK. I got this jumper from Brandy Melville when I was in the US and I am just so in love with their products. They're always great quality, super soft pieces that you can wear with anything. I've been wearing this jumper non-stop recently and it's just a great staple piece. I'm currently knee-deep in revision so I feel pretty boring at the moment, I hate exam season and just want to get back into a routine with projects to work on. This time is always spent either trying to focus on revising or feeling guilty for not spending time revising...I can't wait until next Friday afternoon when I'll be freeeee. Good luck to those of you who have exams too! Those boots are amazing. Love this look!